Photography is a passion for many and a necessity for some. digitalpicturezone.com is a site which makes sense to both the experts and the novice. It includes a wide range of topics for every kind of reader. 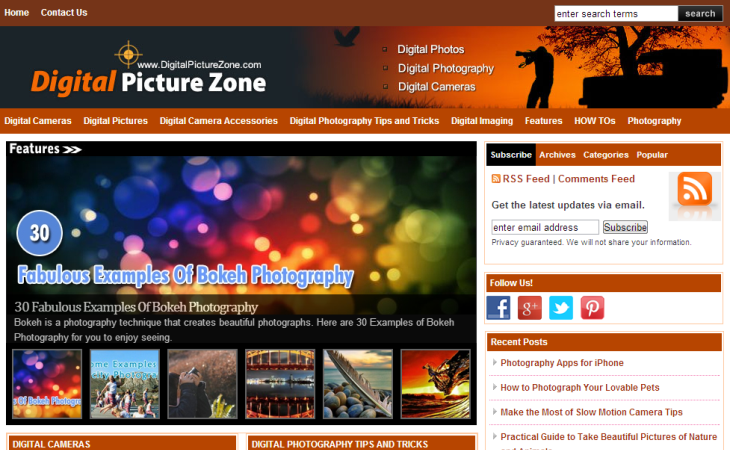 digitalpicturezone.com is dedicated to the art of photography. It describes the various techniques in photography both conventional and experimental and adds features that inspire the amateurs to turn professional. Articles on the site keep digital photography as the main focus. The site also up dates its readers on the latest photography gadgets released and give unbiased reviews of the same.